One of the most high profile bankruptcies in dry bulk in recent years looks to have turned the corner. Daiichi Chuo Kisen Kaisha has told the Kaiji Press in Tokyo it is confident it will file an operating profit for the full financial year of 2016, marking a dramatic turnaround for what was one of the world’s more endangered lines. This would be Daiichi Chuo’s first current account surplus since 2010. The Japanese financial year runs from April 1 to March 31. When it filed for court protection in Tokyo at the end of September 2015 – an exclusive broken by this site – Daiichi Chuo was Japan’s fifth largest shipping line with a fleet of around 170 ships. Its liabilities at the time were around $1bn. Since then it has dramatically pared down its fleet size – roughly hiving off half of its tonnage. It exited court rehabilitation last October. 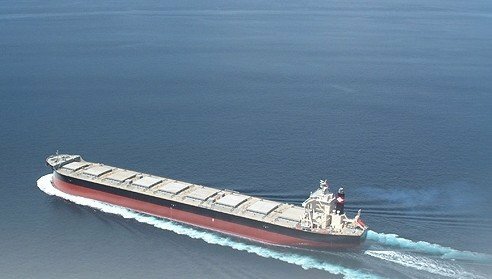 An official at Daiichi Chuo cited cost reductions and a gently improving dry bulk market for the financial turnaround.